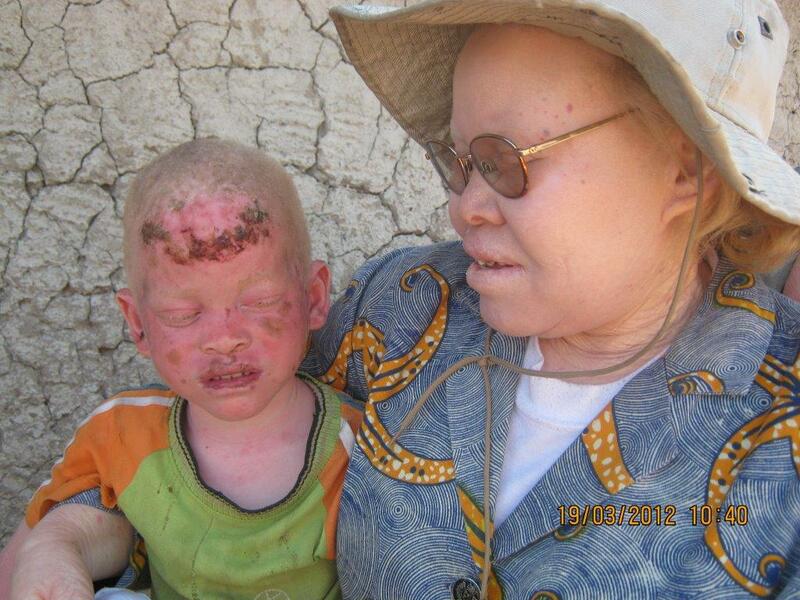 On Tuesday, February 17, 2015, the mutilated remains of young Yohana Bahati; a one-year old baby boy with albinism was discovered a few kilometers from his home in Isabilo village, Geita Region, Tanzania. Both of Yohana’s arms and legs were hacked off. It was reported that, two days earlier five unidentified men armed with machetes had attacked the boy’s homestead; three of them had seized Mr. Misalaba, Bahati’s father while two of them forced their way into the house where Bahati’s mother Ester was preparing the evening meal. One of the assailants slashed Ester’s face and body rendering her unconscious while the second grabbed little Yohana and ran off with him. Albinism is a rare, non-contagious, genetically inherited condition occurring in both genders, regardless of ethnicity, in all countries of the world. BOTH the father and the mother must carry the gene, even if they do not have albinism themselves for it to be passed on to their children. Bodies of PWA’s were wrongly believed to have magical powers but at the same time they were also feared and suspected of being ghosts and that they never die but simply disappeared from the face of the earth! A report by the Red Cross and Red Crescent Societies showed that they were murdered and their bodies sold as magic potions. The report found that a piece of the limbs of PWA was sold for as high as USD 75000 in Dar es Salaam. It is also believed that many babies, born with albinism, we killed at birth. Hunted for body parts and isolated by fear, Rotary has worked hard to provide a safe future for Tanzanians with albinism. 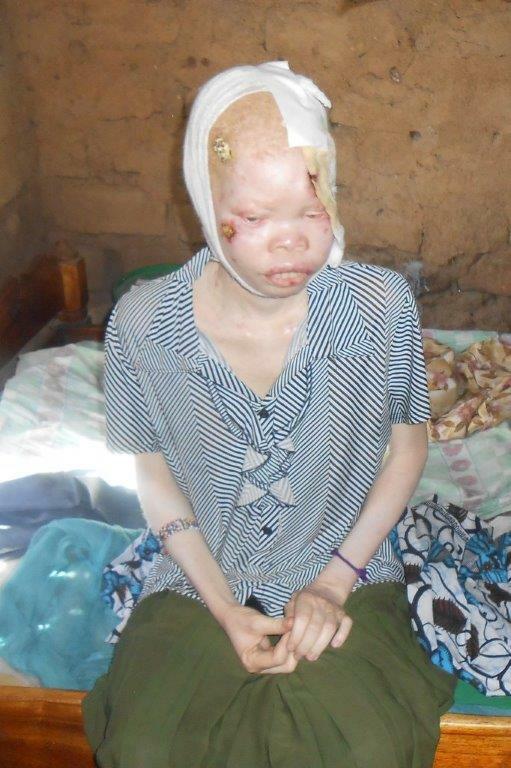 Rotary’s work with Tanzania’s albinos took root when they first experienced the impact of the violence in 2011 when a member of the Rotary Club of Moshi, traveling with Alan Suttie, a member of the Rotary Club of Kirkcaldy in Scotland met a young albino boy who had survived a brutal attack. His assailants had hacked off his left arm and right hand, leaving him disfigured and deeply traumatized. Changing Lives of People with Albinism in Tanzania Global Grant # 1414794 for $108,100 was activated since 2015 with the aim of offering help to these people by mounting a campaign to educate communities to reduce the stigma of albinism and to improve the relationship between people with albinism and the rest of the community. It was a holistic approach to address a deeply disturbing social problem. It used Rotary’s unique position as a non-political and non-religious organization to coordinate ongoing disjointed activities, built local capacity, skills, interest, commitment and create awareness to sustain the gains. It affirmed and built on the work being done by Government and non-governmental organizations to achieve shared objectives. 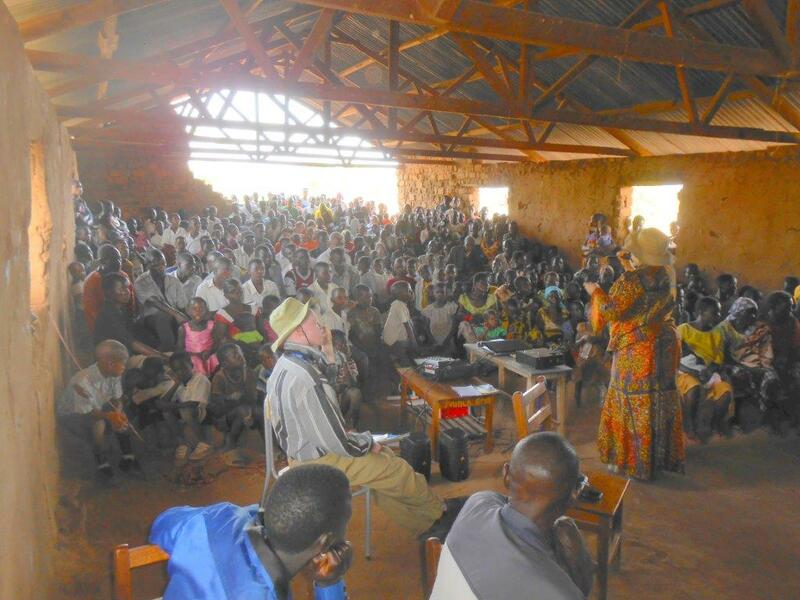 Some 9,842 Government officials and members of the community attended Rotary meetings that were held every where that was convenient for the communities such as schools, bus stands and vacant land with film shows related to albinism. An alliance was formed between albinos and traditional healers that worked to dispel myths that had led to so many mutilation and murders. Despite the horrors of the killings, PWA’s faced an even greater danger from the Sun due to the fact that PWA’s have low levels of melanin, the pigment that gives skin, hair, and eyes their color, they lack adequate protection from the sun’s ultraviolet rays, a reality that is often deadly in an equatorial country like Tanzania. Unfortunately this causes skin cancer and even blindness! 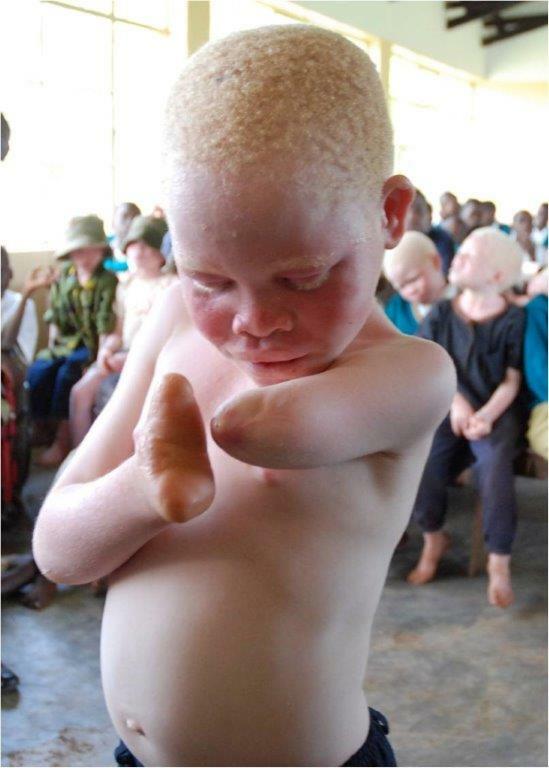 Many people with Albinism were unaware of proper protection measures, as a result skin cancer rates are alarmingly high. 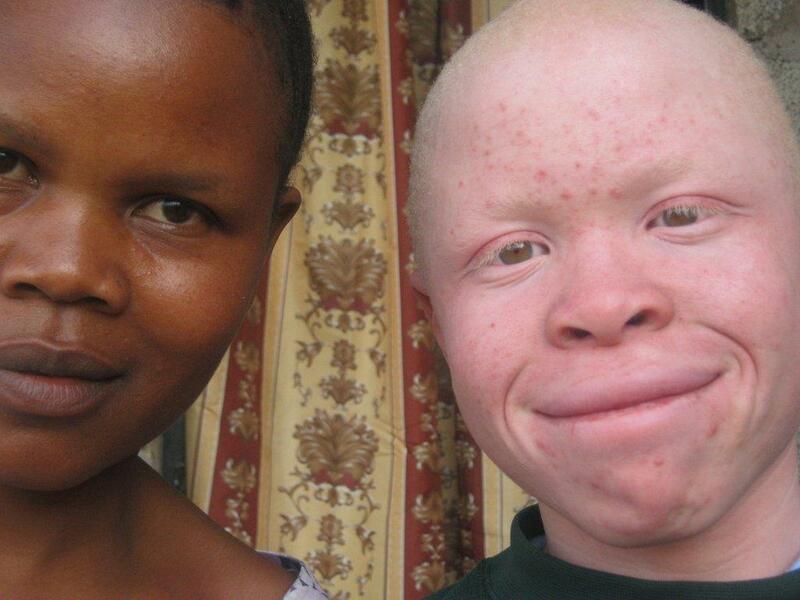 Nearly all albinos in Tanzania develop dangerous precancerous lesions by age 20 and many die before age 40. Although life expectancy is on the rise because of increased cancer awareness and better access to treatment, PWA’s living in remote areas often know little of the Sun’s damage to their skins. 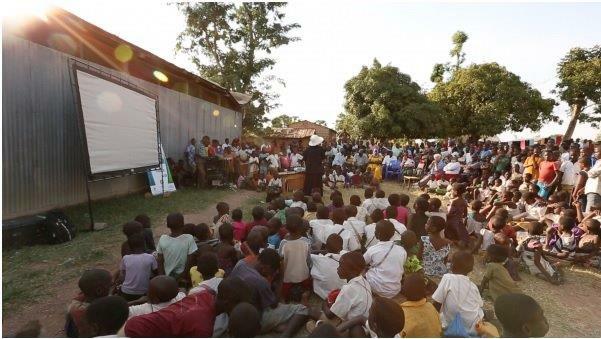 Rotary also focuses on cancer prevention and treatment through training health workers and providing medical equipment. Caption: Gabaseki died of skin cancer, her last request was to cover her grave in cement so her father could not dig her grave and sell her body. Caption: Hamisi with sister Martha showing signs of cancer on his face. Rotary provided cryoguns and cylinders of liquid nitrogen, which are highly effective in removing precancerous lesions before they become deadly. Rotary created a forum to share experience and coordinated the activities together with Government and non Governmental organizations involved in working with the Albinos as well as providing advice and guidance about reducing the risk of developing skin cancer and blindness as well as developing capacity to offer high quality medical assistance to PWA’s specifically in the two areas - skin cancer and eye diseases. ( Standing Voice now have 49 clinic sites across 11 regions of Tanzania. 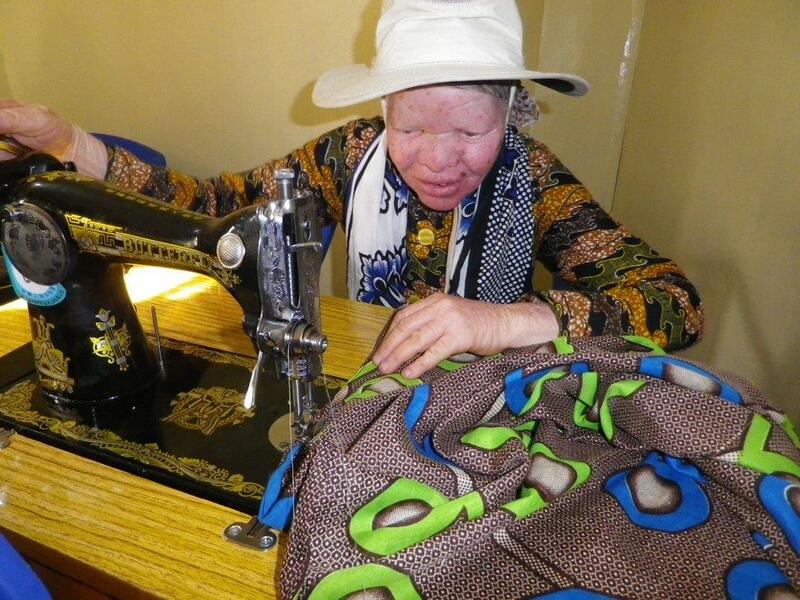 The program is currently serving 5,350 people with albinism. 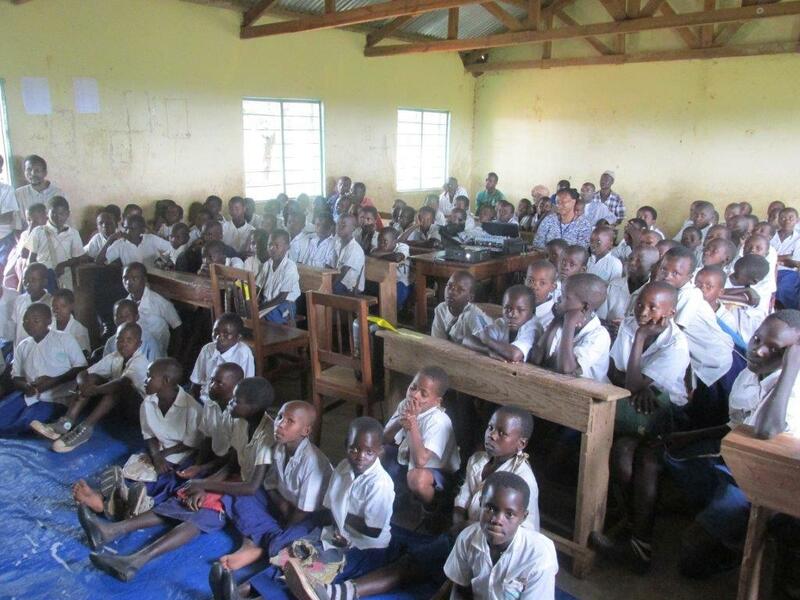 Their vision program has reached 2,200 PWA’s. KCMC/RDTC doctors have trained local dermatologists. We measured and monitored activities for project effectiveness and helped PWA’s to participate normally in society. Improving their earning potential by financing livelihood- building projects such as hair dressing and beauty Salons, tailoring, chicken incubators, rearing chickens fo eggs; selling fruit and vegetables; weaving wicker baskets, fishing, pot making and motor mechanics; Participants also were trained in entrepreneurship, banking, and the basics of financial literacy. Three students have attended college in hotel management and education, while another is perusing his masters in accountancy at MUCCOS University. I can walk down the road now without people calling me names. People now allow me to sit at a café with them and even eat with them. I feel safer because I know my neighbors and especially the village leaders are looking out for me. Students at the local school are allowed to wear hats, long-sleeved shirts and long pants now, even though they’re not the official uniform. Students are allowed to sit in the front row in class so they can see the blackboard well; in fact if they need to they can even stand at the board. I can now go to the local dispensary for care; before they wouldn’t let me in because there were no nurses who were willing to take my temperature. In recent years, the killings have decreased, in part because of stepped-up government vigilance. 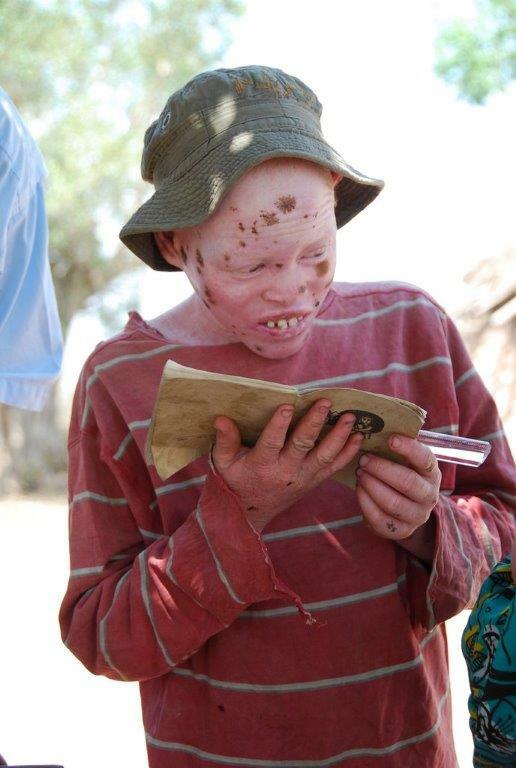 When we applied for this Global Grant in 2014 there were only 12,000 known PWA’s (People with albinism) in Tanzania. Now there are approximately 33,000 known PWAs. The increase is attributed to the fact that many have come out of hiding because they fell much safer and protected by their families and the communities at large. Also because the Government’s protection is loud and clear.